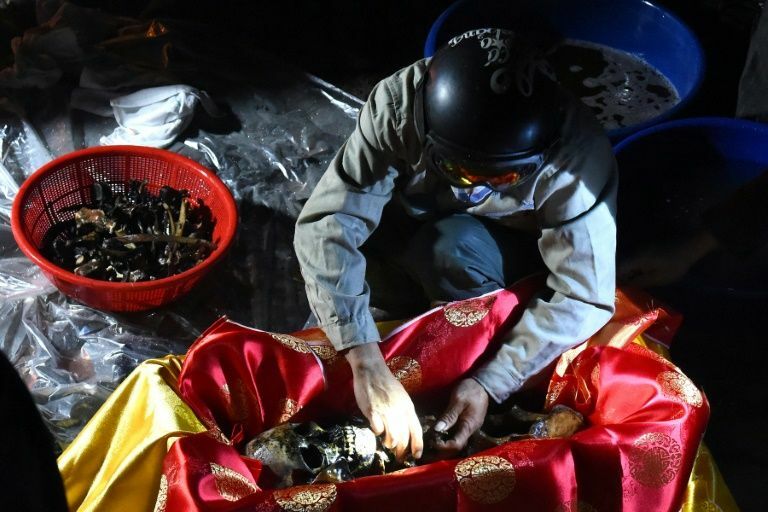 In the dead of night in a Hanoi cemetery, Nguyen Van Thang's casket is unearthed; his bones carefully cleaned, wrapped in silk and then reburied, so he can finally segue into the next life. 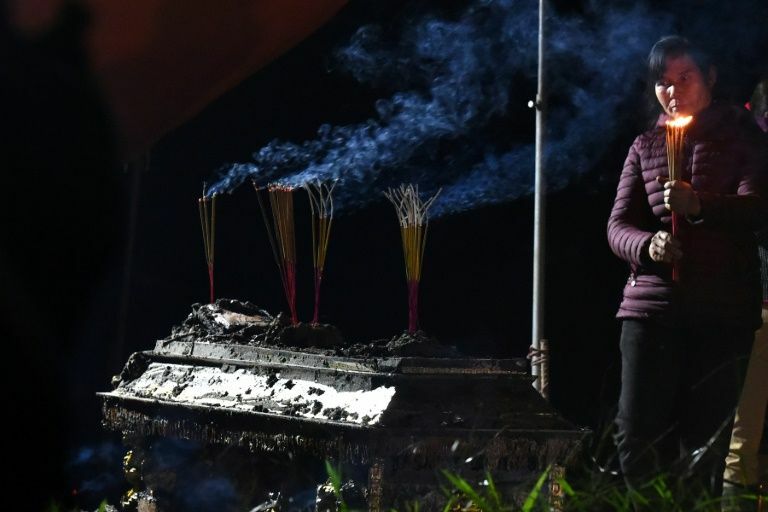 The ceremony is one of Vietnam's most sacred death rituals, an ancient custom usually carried out before the Tet lunar new year, which falls in early February this year, as the final act in life's journey. Many Vietnamese, especially in the north, honour their dead with reburials -- normally three years after their loved ones are first laid to rest. Modernity is chipping away at the tradition with cremations preferred as a more simple, clean and cheap passage into the afterlife. For Thang's relatives, however, meeting his wishes of a reburial three years after he died of cancer aged 59 was never in question. "Finally, he can rest in his nice new home. I feel so blessed and happy," said his wife Ha Thi Thua from his graveside at a cemetery on the outskirts of Hanoi. The hours-long ceremonies are not for the impatient -- or faint of heart. Beginning in the evening, a shaman makes offerings to the spirit guardian and the deceased -- in Thang's case, sticky rice, boiled chicken, a paper horse model for the spirit guardian to ride on and fake US dollar bills among a cornucopia of items. Then the shaman chants and tosses coins to gain "permission" from the dead and the grave's spiritual guardian to begin the ritual, before the coffin is dug out by gravediggers and relatives. Once the coffin has been carefully lifted out of the ground, the bones are gently removed. If the remains are black and bare of flesh, as Thang's were, it's a relief. Otherwise, the grim but essential task of scraping the flesh off must begin. The sight of her dead husband was too much for Thua to bear, and she fainted as his skull, ribs, tiny hands and feet were washed by bone cleaners in a pot of herbal water. "Did the man have all his teeth when he was alive?" a bone cleaner asked the family, a sour odour wafting in the air. "Yes," replied a daughter, knowing the importance of reburying her father with all his parts in place. The final and most important step is re-wrapping the bones and placing them in a new "tieu" -- a small, carved stone casket that is buried in a new resting place, this time forever. Adherents to the ancient custom believe the souls of the dead are stuck in a spiritual limbo until they are reburied. "The soul can't make the journey by itself, it needs living humans, especially relatives, to do it for them," explains anthropology professor Shaun Malarney of Japan's International Christian University. According to the belief system, even the souls of the living might be eternally uncomfortable if the ritual is not correctly carried out. Performed with few luxuries in the post-war period, the ceremonies have become splashier in step with rising wealth, Malarney added, with more elaborate offerings for the dead to enjoy in the next life. But modernity has seen the ritual fall out of favour with some families helped by government efforts since the 1990s to push cremations as a hygienic alternative. Today Hanoi families who cremate their dead get a $130 rebate from the government, and once-scarce cremation parlours have popped up across the city catering to a growing number of customers. Even some long-time bone-cleaners prefer the modern approach. "I sent my mother's body for cremation when she died in 2017. It was much nicer, simpler and cleaner," said Tien Huong, donning gloves and a face mask before cleaning Thang's remains. Those who oppose cremation believe burning a body after death will suspend a spirit in a hot state for eternity. Regardless of how the deceased are sent off, it is up to the living to make sure the proper respects are paid. "In the end, your attitude towards the death of your parents is what counts most.  Reburial or cremation doesn't matter," cultural researcher Le Quy Duc told AFP.